Join us this Easter! We have 6 Easter services to choose from starting with our Maundy Thursday service on Thursday, April 18 followed by 5 identical Easter worship services spread out over two days April 20 & 21. If you've never been to Hope to celebrate Easter make this the year! For a taste of what it's like scroll down to watch last year's Easter service. *Maundy Thursday, April 18 • Activities are available for infants–4 year olds as well as for Special Kids & Adults. 10:00 am will be our most crowded service! 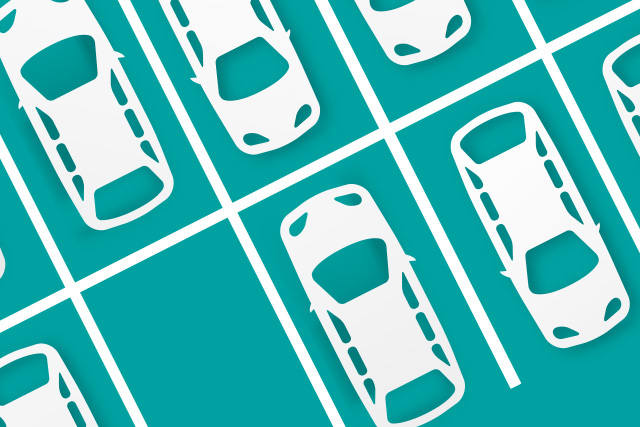 Avoid long parking lot lines and the hassle of finding seats. Join us at any of our other identical services. 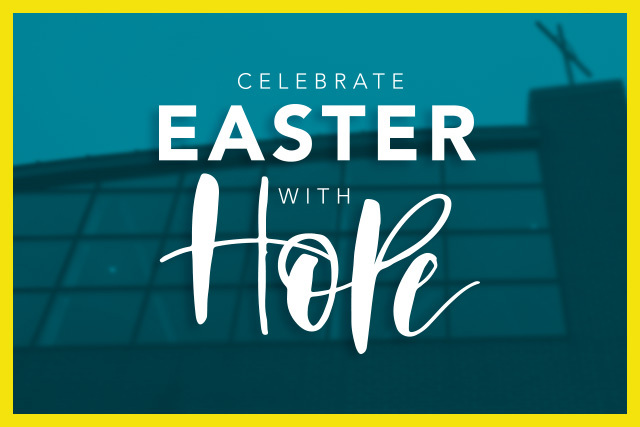 We invite you to come celebrate Easter with Hope! 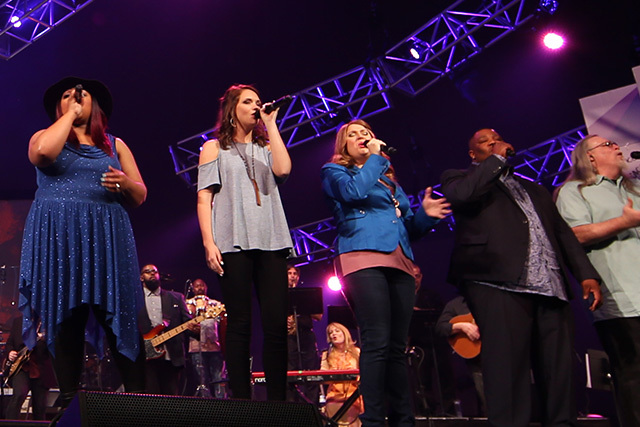 Join us at any of our 6 Easter celebration services for powerful, uplifting worship and a timeless message of hope that we find in the resurrection of our Savior, Jesus. If you haven't experienced it in person make this THE YEAR! To watch last year's service keep scrolling! Because the meaning of Easter is so important, we encourage all kids in 1st grade and above to attend our services in the sanctuary where a special kid's bulletin is available. 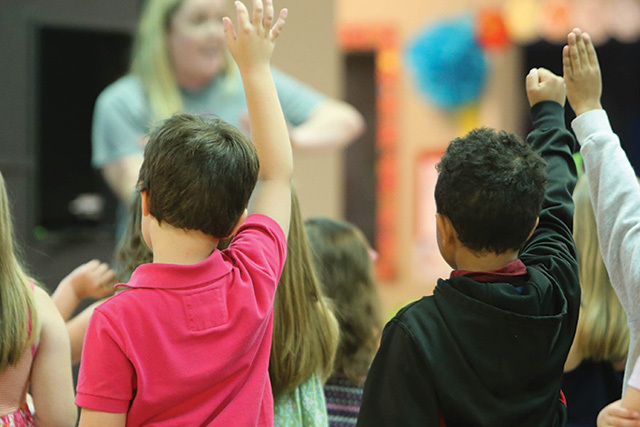 For those in Kindergarten and younger—while also welcome and wanted in our services—we understand they may prefer something a little less "confining." For them we offer safe, fun, age-appropriate activities in out Hope 4 Kids program at every service. For the parents of newborns we offer two soundproof "cry rooms" located in the very back of the sanctuary, however, we welcome your little ones in Hope 4 Kids where they will be cared for and comforted by our amazing volunteers so you may attend the service without any disruption. Macky & Friends, Hope's special needs program for kids & adults, is offered at the 5:30 pm service on Saturday and the 10:00 am service on Sunday only. No matter what age or disability we want you to come and be a part of the fun! Don’t bring every car you own to Hope. Ride together and pick up that friend you invited to come. Come early (20 minutes early is perfect, especially for the 7:30 pm, 10:00 am & Noon services) and enjoy a cup of coffee on us. Trams will be running during all services EXCEPT the 7:30 pm on Saturday, April 20. Want to see what an Easter service at Hope looks like? Watch last year's Easter service below!